When you stay at Four Columns in Newfane, you'll be 14 minutes by car from Townshend State Park. This inn is 18.1 mi (29.1 km) from Mount Snow and 10.4 mi (16.7 km) from Brattleboro Country Club. Four Columns features an outdoor pool and a 24-hour fitness center. The inn offers a restaurant. A bar/lounge is on site where guests can unwind with a drink. A complimentary breakfast is offered each morning. Wireless Internet access is complimentary. 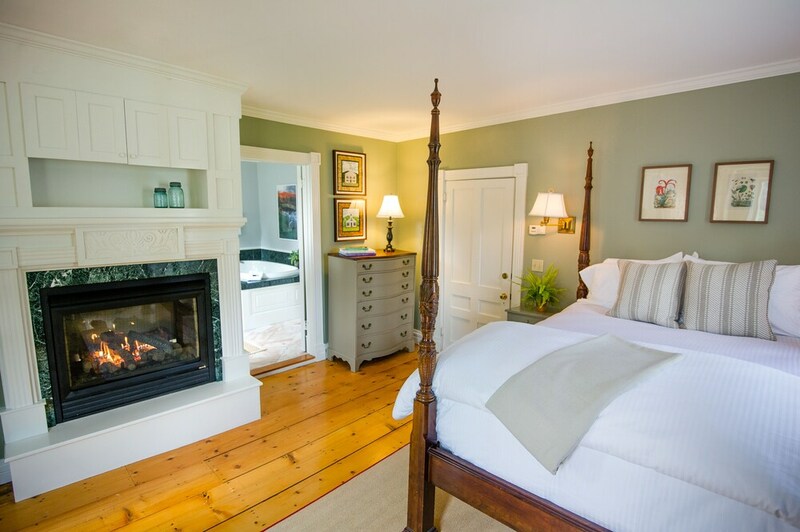 This Newfane inn also offers spa services, a library, and a terrace. Complimentary self parking is available on site. Four Columns is a smoke-free property. Artisan Restaurant - This restaurant specializes in local cuisine and serves brunch and dinner. Open select days. The Tavern - This bar specializes in local cuisine and serves dinner only. Open select days. Recreational amenities at the inn include an outdoor pool and a 24-hour fitness center. Reservations are required for spa treatments. Reservations can be made by contacting the inn prior to arrival, using the contact information on the booking confirmation. The property allows pets in specific rooms only and has other pet restrictions (surcharges apply and can be found in the Fees section). Guests can arrange to bring pets by contacting the property directly, using the contact information on the booking confirmation.